One of my all time favourite pleasures in life are donuts just out of the oil and dusted in sugar and cinnamon. I love, love, love them! A few years ago I decided to spend mothers day with my mum in Tassie. It also happened to be the same weekend as Agfest (a massive Agricultural event) and dad was in the Rotary caravan making none other than sugar coated donuts- you betcha I volunteered to help! I know how bad they are for you and I know you really don't need them, and this is why I haven't had one since then. 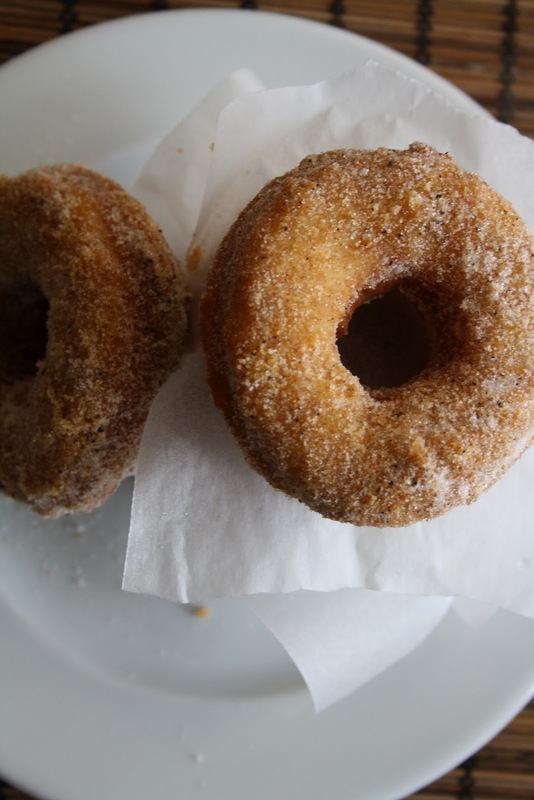 However, when I got the latest Saveur email and saw the delectable photo of donuts I couldn't help but whip up a batch. They would have to be one of the easiest recipes I have made in a long time and they taste fantastic!!!! But don't take my word for it, click on this link and make them for yourself....your family, neighbours, whoever. I can guarantee one thing, they won't last long. And while I'm on the subject of favourite things, I also am an avid lover of cake stands and lids (I know weird right?) anyways, this is a great find and a wonderful blog that kindly featured family of foodies as one of it's favourite blogs of the month, so if you have time, stop by and check it out. I fear frying anything, so I'm impressed with these! My husband's Grandma Ruby was the donut maker in the family, and when she died, well into her 90's, no one ever made them. They certainly did her no harm, and I have always wanted to whip up a batch. Maybe when my nest is filled back up again next week!